It's a fact that if you get on a motorcycle, sooner or later you're going to get hurt. That goes double when you're racing them. And that in turn is doubled again when you try to do stunts. And then we have the racing and the stunts that you see in Motocross Urban Fever and it's a wonder that your avatar hasn't shattered every single bone in his body. But that's the advantage, with this game, you'll be able to do all those stunts without worrying about hurting a single hair on your head.Motocross Urban Fever brings you to the urban racetrack, with large ramps, buildings everywhere, litter and debris in your way, and various other obstacles and features. In this game, you'll be racing against two other guys on motorbikes, who you race against depends on who you choose as your own racer. The three are Miniclip Fury (blue and gold), Flying Lizard (Green), and Flaming Skull (black and red). The choice is purely aesthetic, so you can go with whichever racer you prefer.Speaking of aesthetics, let's look at the overall game. Generally, the game looks gorgeous, with a great deal of detail going into the environment. You've got storefronts with goods displayed, graffiti on walls, street lamps shining light, barrels burning, and so on and so forth. All this comes together to produce a great urban environment.More than this though, you've also got the sound effects. You can hear every rev, every impact, and every turn. More than that, you can also hear the background sounds of the city, like police cars in the distance. Each time you make a jump you're treated to a comment by the announcer, though these can get repetitive at times. Of note is that these sounds can change depending on where you are. Up on the streets amongst skyscrapers? Everything's fairly normal. Go underground in a subway? You get nice reverb that you'd expect from an enclosed environment.But a game, no matter how good it looks or how great it sounds, isn't much unless it plays well. Each track in Motocross Urban Fever has different objectives. The first simply requires you to finish the race while the second requires you to grab 15 Miniclip Ms. Other race objectives will vary, giving you a great deal of variety in the game, enough that you're going to keep entertained throughout the entire game.In addition, the races themselves are all plotted out rather well, with the sharp turns that you'd expect in a big city, obstacles placed naturally and logically, and amazing jumps that send you skywards. The AI is also pretty good, and while challenging, is not impossible to beat. Newcomers to racing games will be hard-pressed to win, but they'll feel rewarded. More experienced players will still feel challenged, enough to not write the game off as being too easy to win.All in all, this is a great looking game that also plays extremely well. Be sure to not miss out on Motocross Urban Fever! 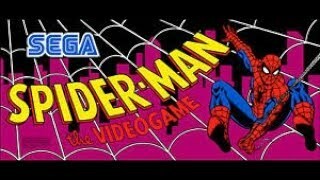 Spider Man All Costumes Character Viewer Comic Books Game Covers! 4 people playing X-Men, 1992 from Konami. This video was captured from the original arcade board using a supergun. Sorry it's not 6-players, but I don't know how we'd upload a direct capture of that to Youtube. I suppose it's theoretically possible with enough video editing software and equipment.